December 11, 2015 – Foreign nationals in Canada applying to immigrate as a spouse or common-law partner will continue to have the opportunity to work while waiting for their application to be finalized. A pilot program giving them open work permits is being extended for one year, until December 22, 2016. 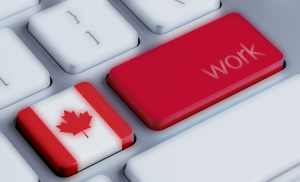 If you have already received approval in principle on your permanent residence application—meaning you received a letter from Immigration Refugees and Citizenship Canada stating you meet the permanent residence eligibility requirements but have not yet passed the medical, security and background checks for your family members or yourself—you may apply for an open work permit online. If you are submitting a new application under the SCLPC class, you may submit a work permit application at the same time as your sponsorship application, along with an application for permanent residence, under the SCLPC class. You must include the appropriate fees, and send all completed applications together to the Case Processing Centre in Mississauga. For more information, visit the Help Centre. If you have a case specific enquiry, use the Case Specific Enquiry Web form.